Before starting film photography, I used to think that it was very expensive. Because I was thinking that film photography means photo prints (read my blog post about it). 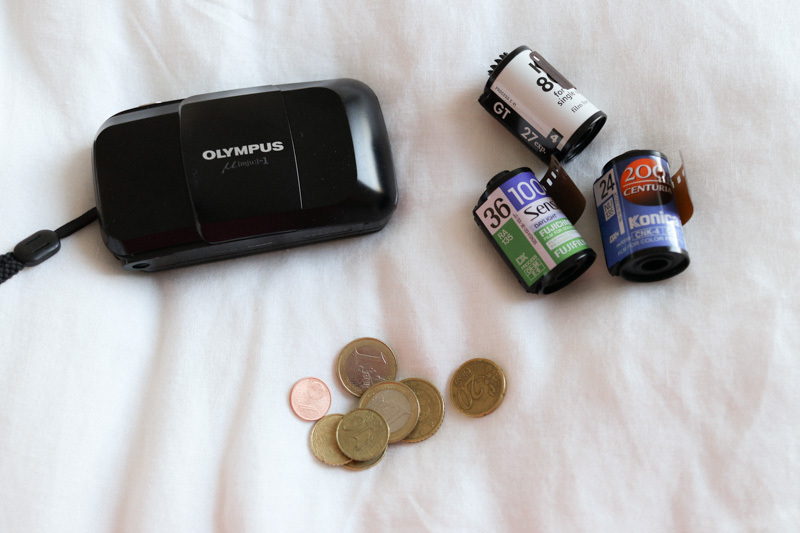 So I want to share with you what is the real cost of film photography. Of course, I will share my own experience, I live in France, maybe in your country the prices are different. Feel free to share your experience too. - SLR cameras like Canon AE1 : at a flea market, around 30€. On the internet, around 150€ with a 50 mm lens. I don't know for the medium format... I have already seen a Rolleiflex at 500€. 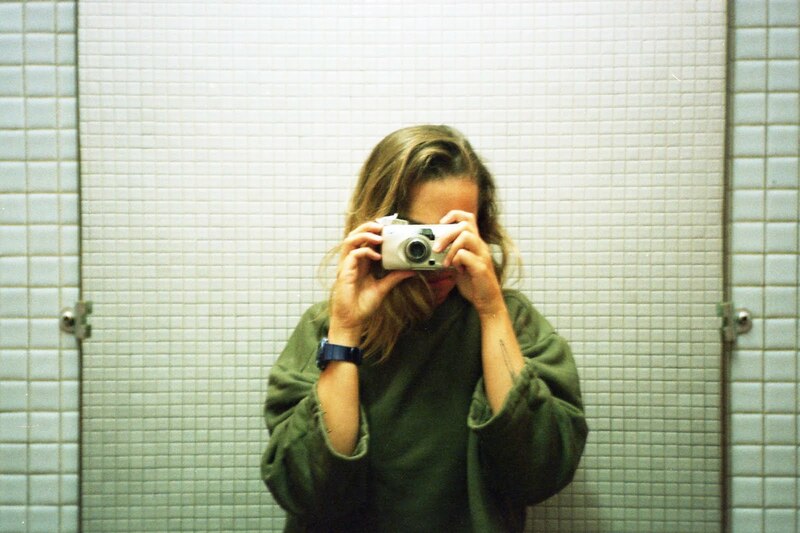 I'm also dreaming of a Contax camera, but the price is crazy (around 600€). When analog is more expensive than digital ahah. There is two types of 35mm films : new ones and expired ones. So, there are two prices ! An expired film find at a flea market does not cost a lot of money ! You don't know how the film has been saved. I use to pay them 1 to 3€. 1€ is like for a classic film like Kodak Gold or Fujifilm Superia. 3€ is for rare films (not produced anymore for example). Concerning new 35 mm film, it totally depends of the film : for example Afga Vista Plus is really cheap, like 3 or 4€. But Kodak Portra 400 is more like 7€. It depends of the reseller too ! Please compare if you can before buying. I have only one experience about film processing and developing. I actually pay 5€ for 1 film, only developing, no scan or print. Concerning prints, the shop where I develop my film propose different formats and prices : 0,40€ for 10 x 15, 0,80€ for 13 x 18, 1,30€ for 15 x 20 and 6,80€ for 20 x 30. Please let me a comment with the price you pay for the different services ! It would be great to compare together. Thank you for reading this blog post, feel free to comment and share your experience as well. Also the Kodak portra is like 11€ and the expired ones like 3/4€. I live Germany and I was developing at DM (drug store) and I was paying 10€ for developing+scan (in CD)+ photos. I realised that it was too much and I didn’t wanted the physical photos. I found a local camera store where they only developed C41 films for 5€. I was developing there and scanning it myself. It was still a lot of money because I was shooting a lot. All these changed when I stated developing myself. I started with black and white and later colour. I highly recommend everyone to develop film at home. It’s such an easy process. You can develop and scan in an hour. It was such a monumental difference compared to a week of wait in a drug store! Additionally, it’s so much fun to develop at home. You’ll experiment with a lot of new recipes. It’s fun! Thanks for your comment Joshua and I actually want to try.... Thanks for your feedback !